Sponsored in part by Al Inshirah Summer Lunch Program activities committee. 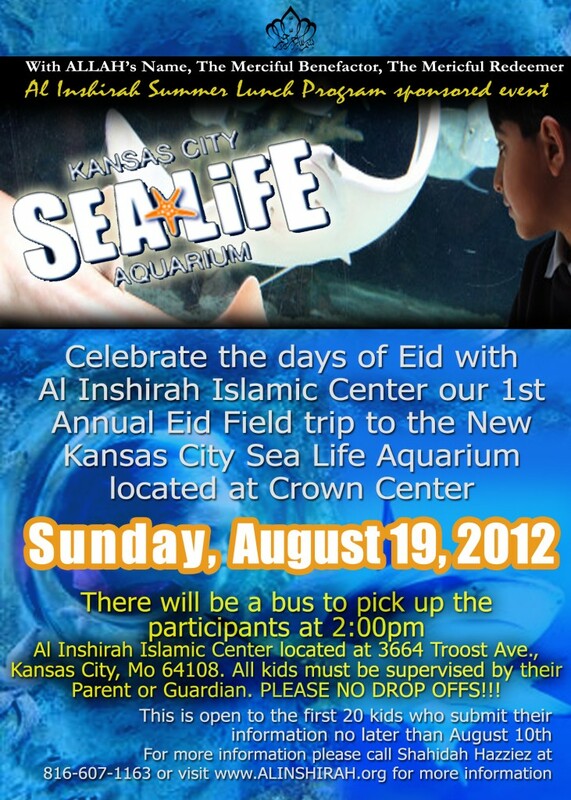 Please note that this year we will expand our activities for the children so that they may have a joyous EID, starting with a trip the New Sea Life Aquarium located at Crown Center in Kansas City, Mo. Required for participation: mus have Parent or Gaurdian’s approval. an adult must accompany their participants. Drop off time will be 9:00pm at Al Inshirah Islamic Center. for more information or to sign up please send an email to Alinshirah@gx-kc.com or call 816-607-1163.